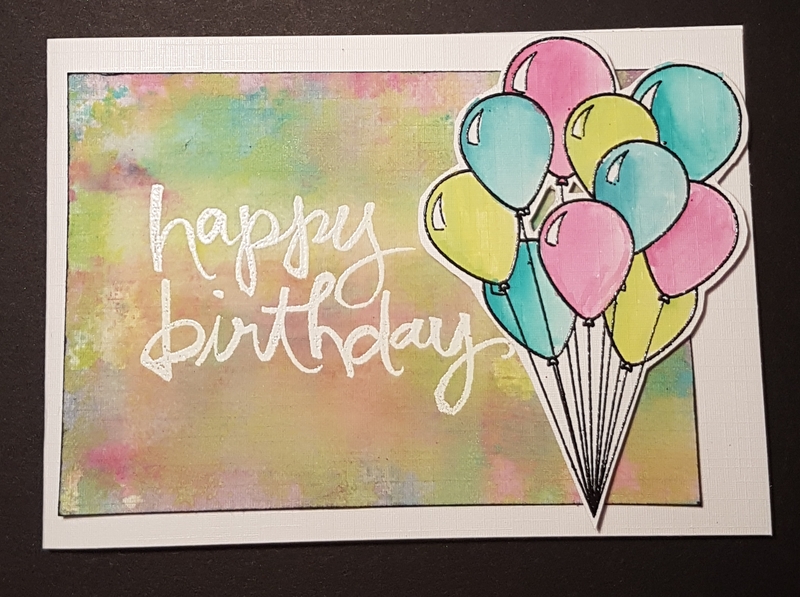 Two new friends… Two birthday cards! So the princess started at high school in September and has made some new friends. She was invited to a joint birthday party today so here are the cards I made for the two girls. I kept to a similar colour scheme for both but made two very different cards. I made a distress oxide background and then overstamped with a stamp from Visible image and heat embossed the sentiment. Then I heat embossed the balloons and watercoloured them with the same colours of distress oxide. I then cut them out and raised them on foam tabs. 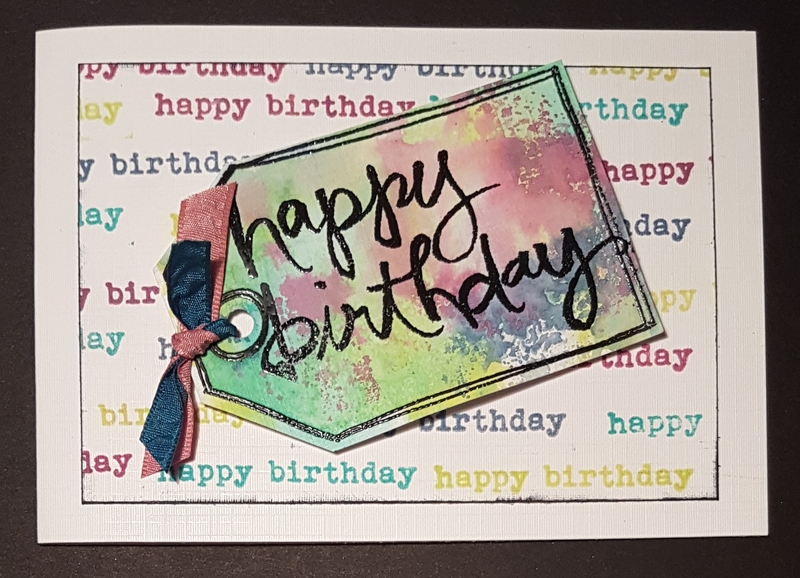 Next I took Emma Godfrey happy birthday stamp and made a patterned paper out of it using the distress oxides. Then I used the oxides to do some funky background and heat embossed the tag from Emma Godfrey set and then the watercolour words sentiment. I then added scraps of ribbon to match. I raised the tag on some foam tabs too. Love how they both came out. And had fun making them! Fun cards, they will love them! Love your homemade patterned paper!